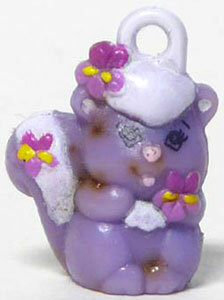 "Scented playmates...you'll love to wear around!" 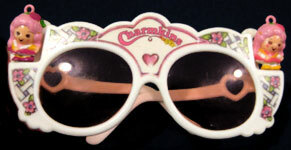 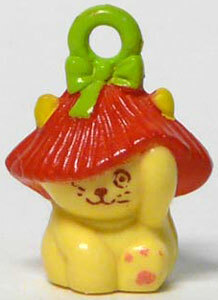 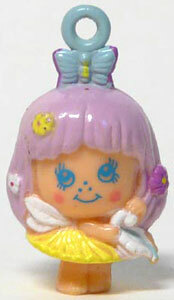 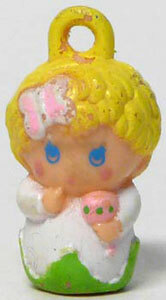 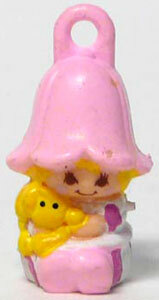 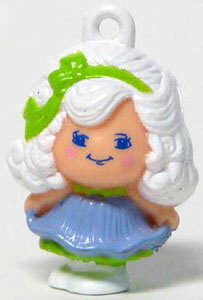 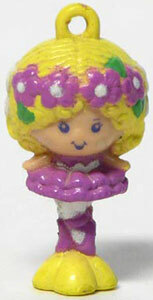 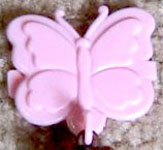 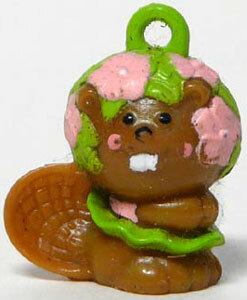 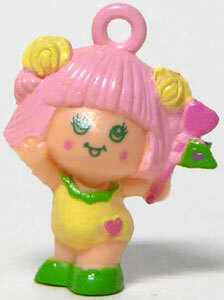 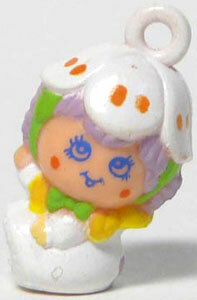 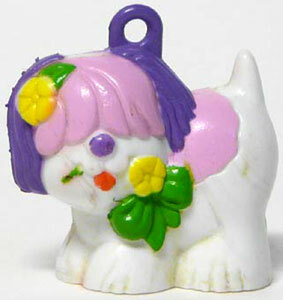 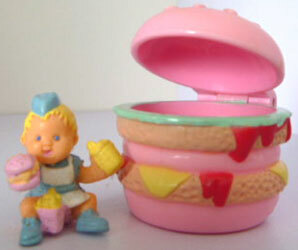 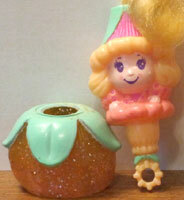 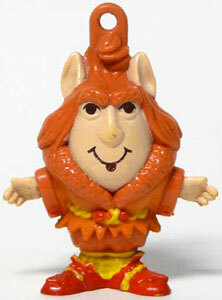 Charmkins were produced in 1983-84 by Hasbro. 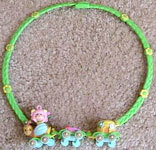 They were tiny figures or animals, about an inch high and each came with a piece of jewellery, such as a hair comb, necklace or clip. 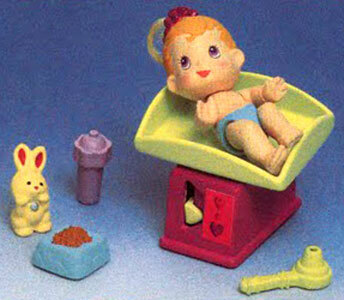 There was also several playsets, various accessories, books and animated videos. 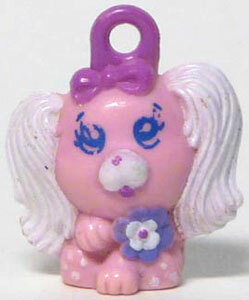 Images on this page thanks to Emery or found on eBay , with thanks to various sellers! 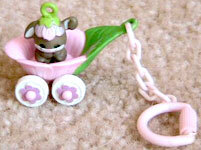 View all Charmkins on eBay.com or eBay.co.uk ! 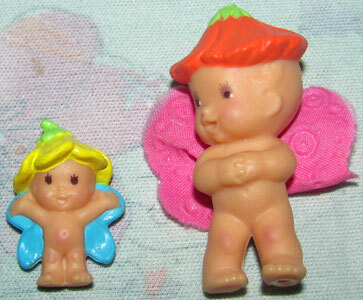 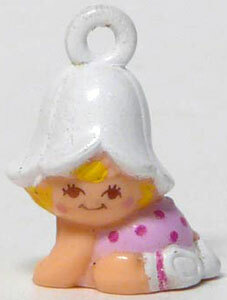 Charmkins were available in several ways. 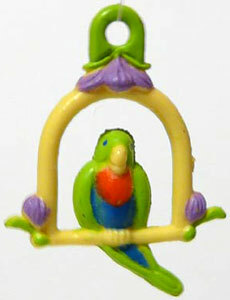 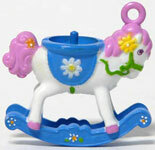 Jewellery Playmates had seven figure in the first series and a further ten in the second. 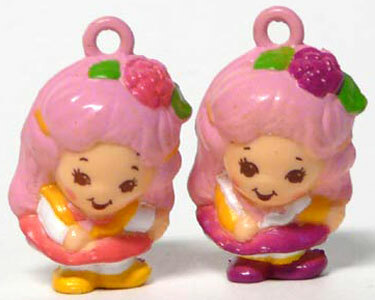 Twosome Jewellery Playmates had three figure in the first series and a further three in the second. 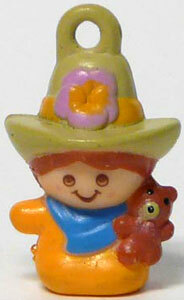 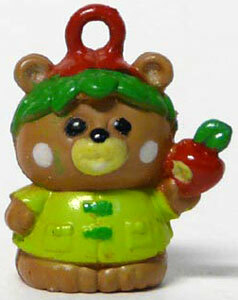 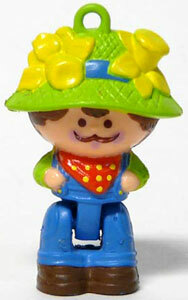 There were seven characters which came with medium sized accessories/playsets and four which came with larger playsets. 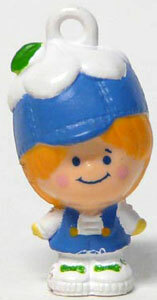 There was also one mail order character. 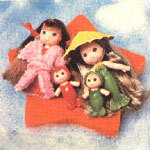 There were eight Charmkins produced in the first release, four dolls and three animals (two of which were sold together). 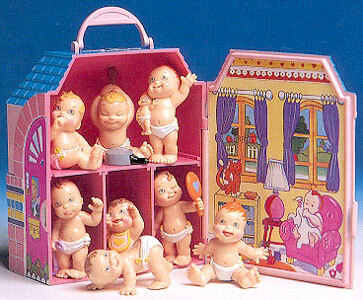 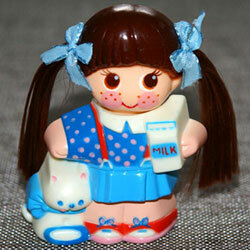 Ten more Charmkins were then added in the second release, five dolls and five animals. 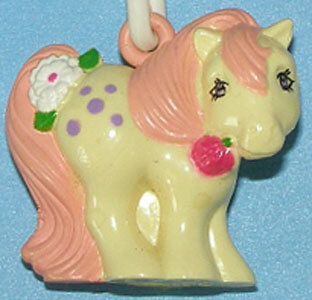 The second release included a pony which resembles a My Little Pony Mommy Charm so closely it is often mistakenly thought to be one. 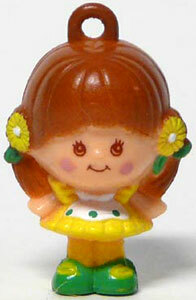 There were three Charmkins released in the first set (two dolls and one animal), and three more dolls released in the second set. 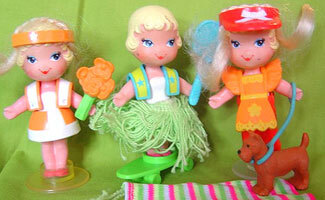 All were called Twosome Jewellery Playmates except for Bouncing Bet, who was labelled Twosome Scented Playmates. 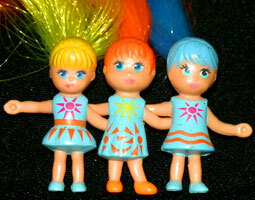 There were four Charmkins which came with slightly larger jewellery accessories. 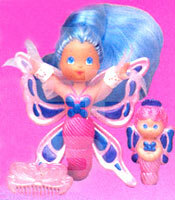 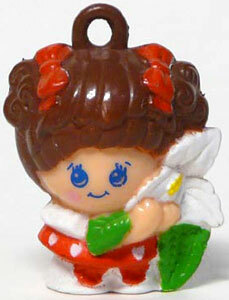 There were four Charmkins released with larger playsets (three dolls and one animal). 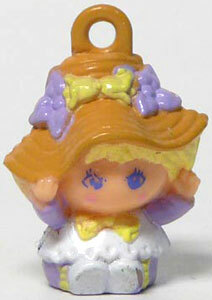 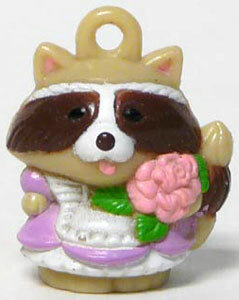 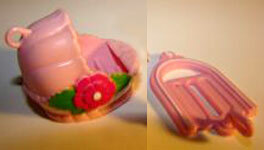 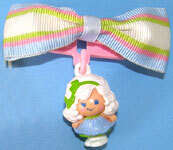 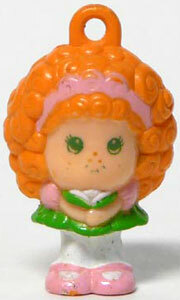 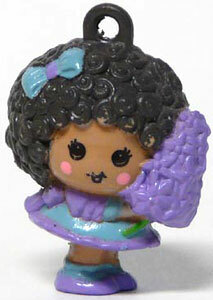 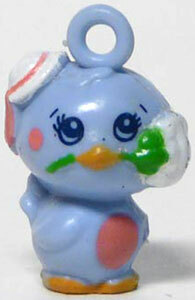 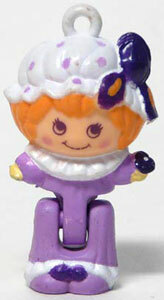 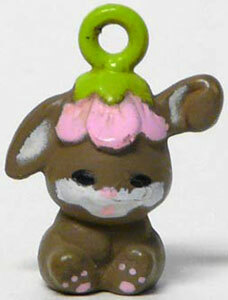 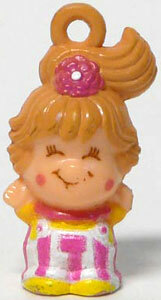 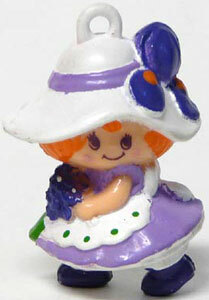 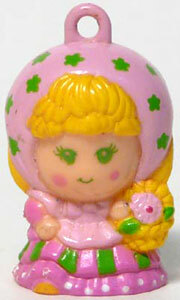 There was also one unreleased playset featuring two more Charmkins (one doll and one animal). 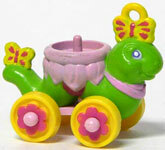 For more information on the playsets see the Playsets section. 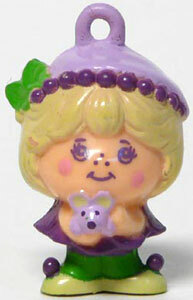 There were three more Charmkins released with smaller playsets (two dolls and one animal). 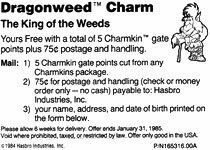 There was one mail order Charmkin produced called Dragonweed - King of The Weeds. 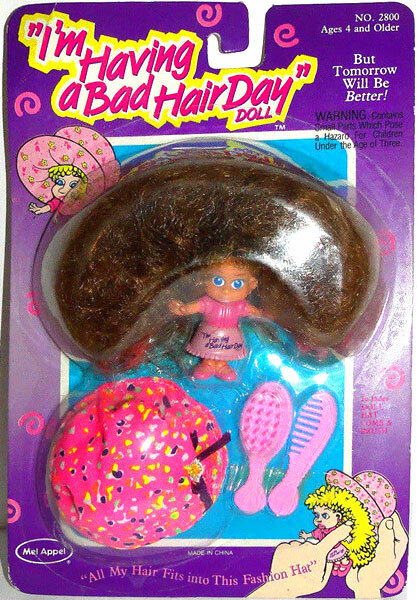 I don't know if it came with a story. 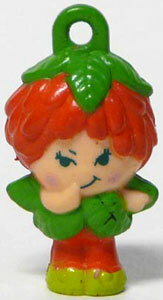 Poison Ivy was also offered as a free figure in the same way before she was made availbale to buy in the shops.